Mazda3 static b-roll for Astina hatch and sedan. New 2016 Mazda3 Astina hatch, open road. Mazda3 Astina, black and white leather interiors. 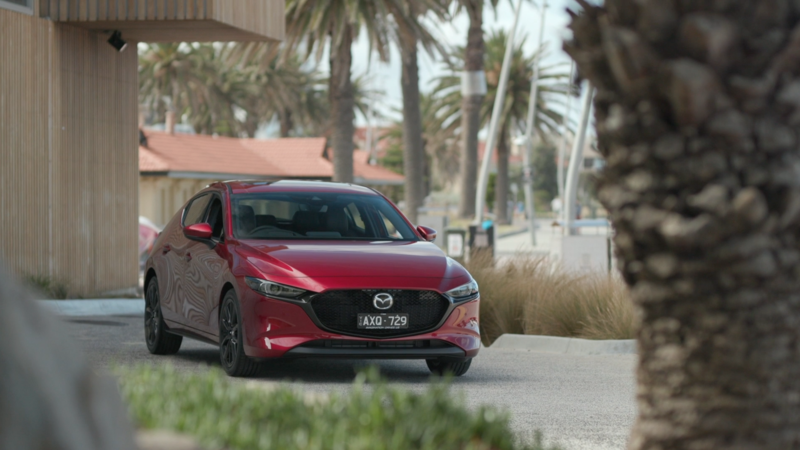 New Mazda3 Astina hatch, city driving, b-roll. New Mazda3 Astina sedan, open road. Mazda announces SKYACTIV-VEHICLE DYNAMICS control technologies - G-Vectoring Control (GVC) – Miyoshi Proving Ground (dry). G-Vectoring Control, will be introduced to all new-generation models starting with the New Mazda3, which goes on sale in Japan today. Mazda announces SKYACTIV-VEHICLE DYNAMICS control technologies - G-Vectoring Control (GVC) – Nakasatsunai Proving Ground (snow).